We think there's nothing better than fresh, organic food. It's one of our foundational values, because it's great for us, for farmers, and for the environment. But as we've shared with people about our common passion and desire to eat organic food, we've realized there's a big need that hasn't been filled - until now. 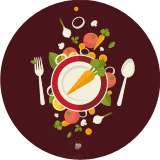 OrganicRestaurants.com is dedicated to connecting people that eat organic food with places that offer organic food wherever they are in the world - while providing users the opportunity to rate and review listings in transparent detail so organic foodies find healthier choices. New to OrganicRestaurants.com, or thinking about joining? Lots of our users have asked us about how we qualify our listings. The short answer is, you do. We rely heavily on our community to weed out inaccuracies in our listings as well as provide the details people are looking for. The long answer has to do with our listing types and levels. Let us explain… Types of Listings Users can submit listings for different types of organic places. The options include restaurants, markets, food trucks, food stores, breweries, farms, farmers markets, and more. This helps our users to do a more narrow search for the type of place they’re looking for. HOW ORGANIC IS IT? 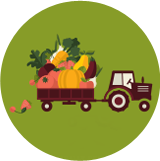 While many places are offering organic options or using organic ingredients, very few could call themselves ”100% USDA Organic.” But there are lots of degrees of organic available out there, and we want to help our users find exactly what they’re looking for. That’s why OrganicRestaurants.com has its very own Organic Listing Meter where our users can help identify which listings are less or more organic. On the lower side, one means the listing offers a minimal amount of organic options. Then on the higher side up to Five meaning they offer a wider range of organic options. We know… that’s a little vague. But organic places are still few and far between, compared to non-organic places, and we’ve found that it’s tough to create hard-and-fast standards for how organic a restaurant or supermarket is. Our Organic Listing Meter system is more like a collaborative guideline that our users continually adjust as a community. 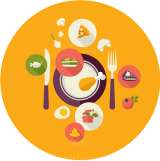 If you visit a place and disagree with its rating on OrganicRestaurants.com, add your own to the listing! Still have questions? Check out a list of frequently asked questions. Want a hip Organic Restaurants T-Shirt? Check out our threads.